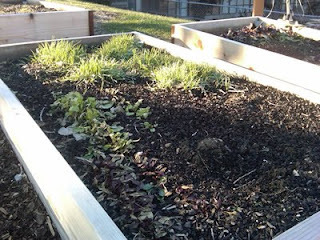 And then 11 days later, the garden is uncovered and in the 40 degree sunshine. 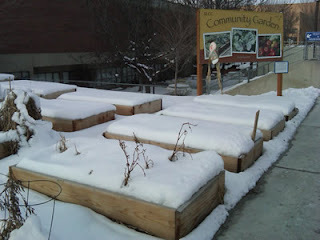 (Jan 21, 2011) I even picked two radishes that day. Last week we had our garden meeting to start planning for March, which includes cleaning the beds and planning some events for March and April. Think spring!